104630-01 Rutherford, Ernest und E. N. da C. Andrade. The Wave-lenght of the soft gamma Rays from Radium B. SS. 854-868. Mit 5 Abbildungen und 1 Tafel. - (Und:) W. H. Bragg. The Intensity of Reflexion of X Rays by Crystals. SS. 881-899. Mit 11 Abbildungen. 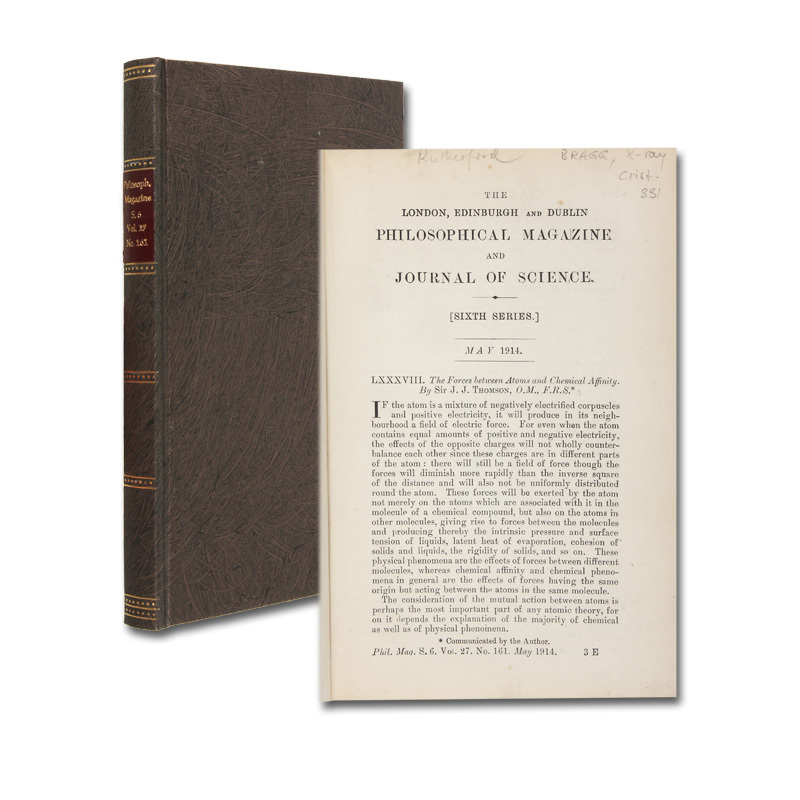 In: Philosophical Magazine and Journal of Science. Vol. 27, No. 161. (21 x 14,5 cm). SS. (757)-916. Mit Abbildungen und 7 Tafeln. Moderner Pappband im Stil der Zeit. (London, Taylor & Francis), 1914.